Two families attend there first ever live game. Level Playing Field was in attendance to see how it all played out. 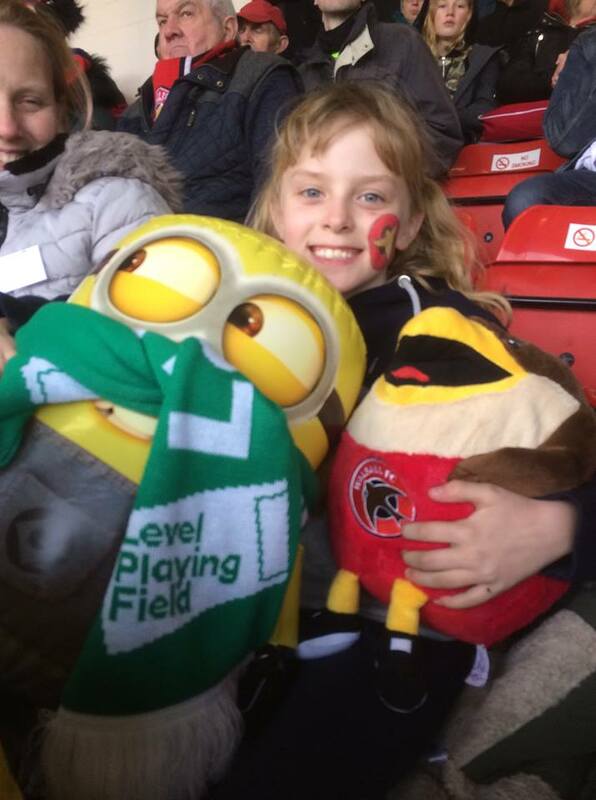 As the blistering cold winds whips around the Bescot Stadium, only the heartiest of football fans would say that they were “Excited” about the game ahead, but that’s the case for three children who attended their first football game on Saturday 9th March. Stood in the Fan Zone inside the “Community Stand” at Walsall Bescot Stadium is Joanna Sainsbury. Joanna is a member of the Walsall community group called the ‘Rainbow Group’. The group over the past few years have been a not-for-profit organisation that facilitate activities and experiences for adults and children with additional needs. 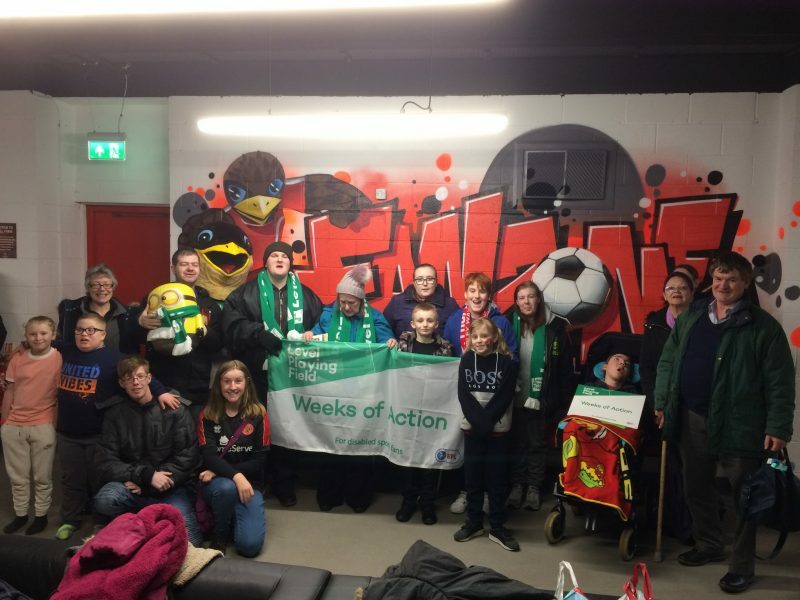 As part of Level Playing Field’s Weeks Of Action, the Rainbow Group decided to invite and pay for several of its services uses to attend the game against Fleetwood Town. For some, this will have been there first ever game! One of the families who is attending their first football match as a family is Donna and Martin. Martin himself has attended several Walsall games himself but never with his two children Freya and Grace who were playing in the ball pit inside the Fan Zone. 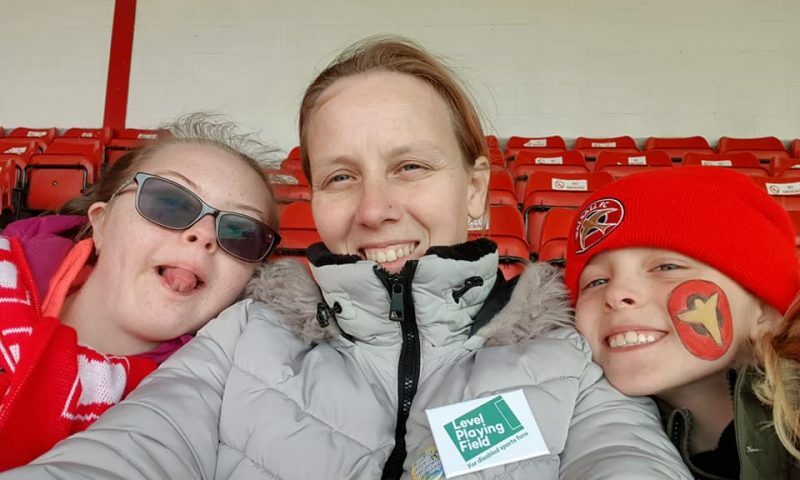 “I’m hoping that they will love it, it would be great to come to more matches with girls” Mum Donna, however, spoke of her own fears, before the game. Their second child Grace has Down Syndrome and is partially deaf, and the fear is the same with her, in regards to how she will deal with a large number of people, but this is something that the Rainbow Group had prepared for. “We have asked that the club keep the fan zone open during the game so if Freya, Grace or anyone else is overwhelmed, they can come into this room where it’s a little quieter and calmer and come back to the seat whenever they’re ready” – Joanna. Also attending their first Walsall football game is mother and son, Estelle and Nathan. Nathan has autism and preparation has been vital for their match day. As kick-off fast approach the two families make their way into the ground and take their seat. With the sight of anticipation on their face the players make their way out to the pitch, and Freya bounces up off her seat like a session pro to join her fellow supporters who rain down applause from all sides of the Bescot Stadium. Sadly, that’s as exciting as it gets in the first half, as the game finishes half time at a stalemate. With the cold continuing to make everyone wish for the summer to come we head back to the warmth of the Fan Zone where I find Mum’s Donna and Estelle having a chat while enjoying a hot cup of tea. As the blast of the whistle kicks of the second half, the action on the pitch brings the crowd to its feet in the 54th minute, as Sticker Morgan Ferrier taps in the opening goal to send the homes fans into frenzy not excluding Nathan, Freya and Grace who show their appreciation by clapping the goal with beaming smiles over their faces. And it’s not too long before they’re back on their feet as Defender Dan Scarr pokes in Walsall’s second. It ends 2-0 to Walsall, and at the final whistle, Nathan makes a bold statement. As people leave their seats to head on home Freya and Grace’s dad, Martin is reflecting on the match that’s just been. 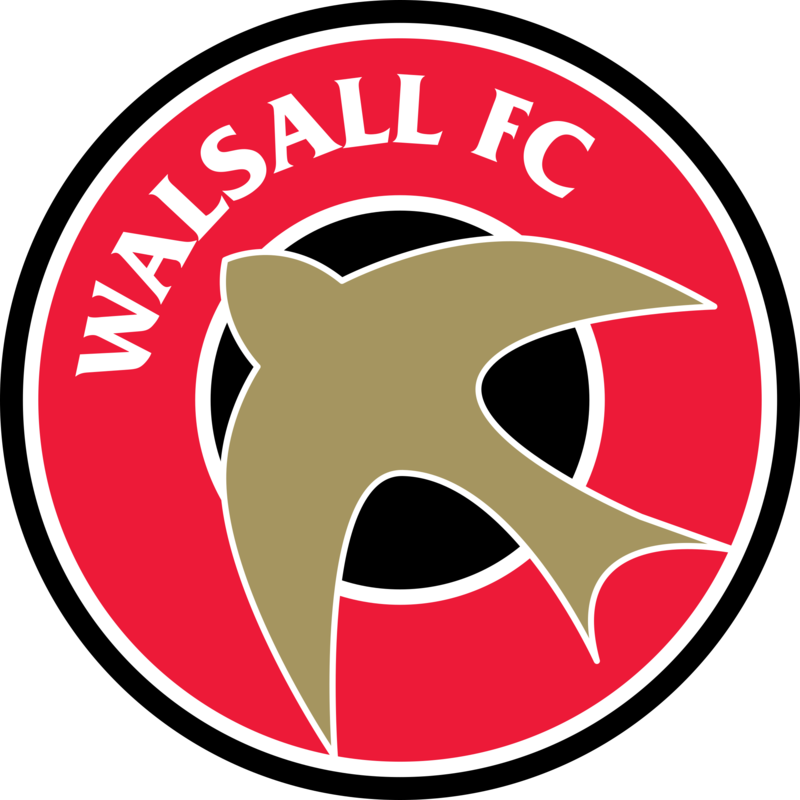 Since the game, Freya and Nathan have become Swifty’s squad members, and both intend on returning to support their new club Walsall FC. If you would like to know more about The Rainbow Group, then please click the link here. If you would like to know more about Level Playing Field or Weeks Of Action, then please click this link here. If you are a disabled supporter and would like to attend a game, you can see what facilities your club can offer you, and you can also see if your club has a disabled supporters association by clicking this link here.